​In his first year in office Borough President Oddo framed his vision for the Staten Island Health and Wellness Campus at Sea View to Mayor de Blasio. The Mayor was receptive and is working with Borough President Oddo to further develop the framework and better understand Staten Island’s needs in coordination with the NYC Health & Hospitals Corporation (HHC) and the NYC City Economic Development Corporation (EDC). BP Oddo invited Maria Torres-Springer, President of EDC, to tour the site and discuss his vision in greater detail. In August 2016, the BP joined with the New York City Economic Development Corporation (NYCEDC) and New York City Health + Hospitals to announce plans for the new Sea View Healthy Community. The project will be constructed on the site of the old Sea View Hospital campus, which was built over a hundred years ago to treat those with tuberculosis. It ceased operations in the 1950s. 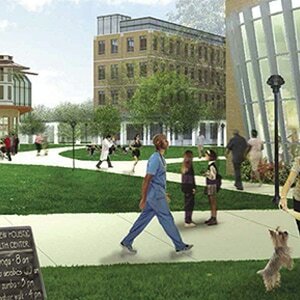 The Sea View Healthy Community will offer medical offices, retail spaces, housing, and community facilities including plazas and bike trails across its 90 acres. The facility will focus on addressing the needs of senior citizens and children with special needs. 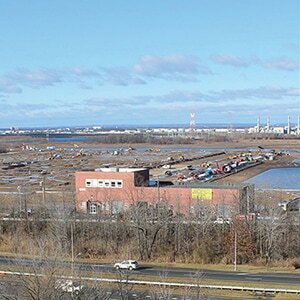 NYCEDC will issue a Request for Expressions of Interest (RFEI), which will seek community proposals for the development of the site. 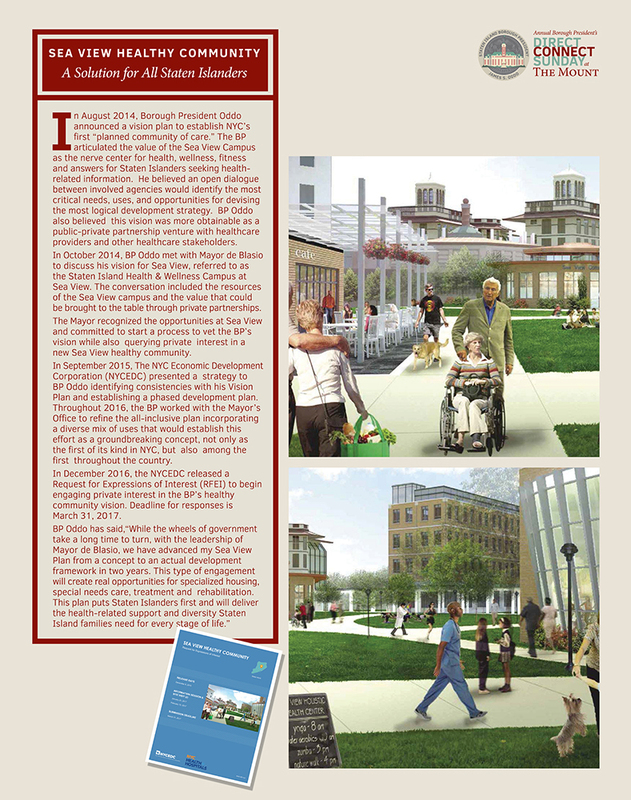 The community will be the first health-focused, mixed-use development in the country. ​You may have noticed more film crews on Staten Island than ever before - that’s because there are more filmings happening on Staten Island than at any other time in our history. The TV & Film industry has found Staten Island and they are here to stay (or rather, return). 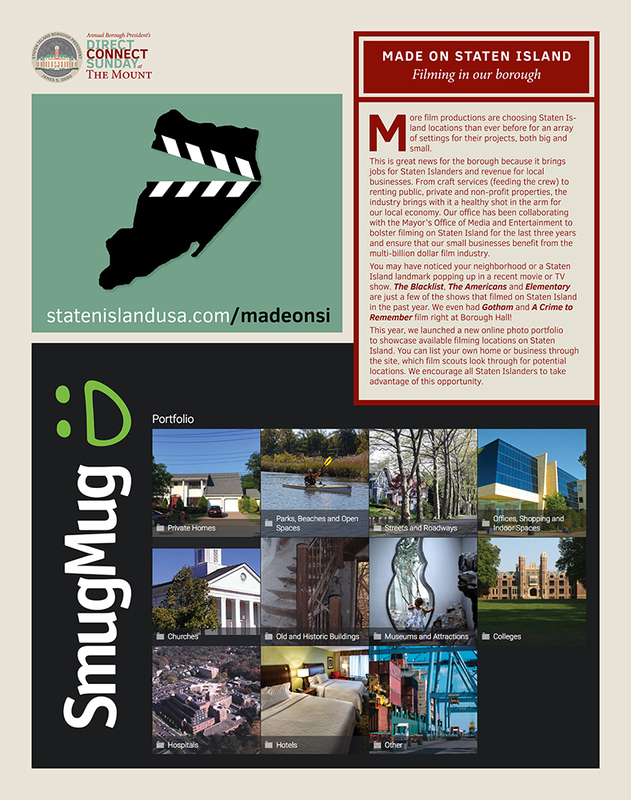 Thanks to support from the Borough President’s Office and Made in NY, the Mayor’s Office of Film, Theatre & Broadcasting, more production companies and directors are using Staten Island for its array of backdrops and settings for their projects. This is great news for the borough for many reasons, but most of all it brings jobs for Staten Islanders and revenue for local businesses. From craft services (feeding the crew), to locations, the industry brings with it a healthy shot in the arm for our economy. And, with the Broadway Stages project continuing the government review process, this industry will only increase. Staten Island’s West Shore is ideally suited as a “Jobs Coast” for manufacturing and commercial uses. Borough President Oddo is sheparding several dynamic private sector projects that will generate thousands of jobs for Staten Island’s economy. NYC’s largest container port, with $25 million in investments made to the terminal and pier. 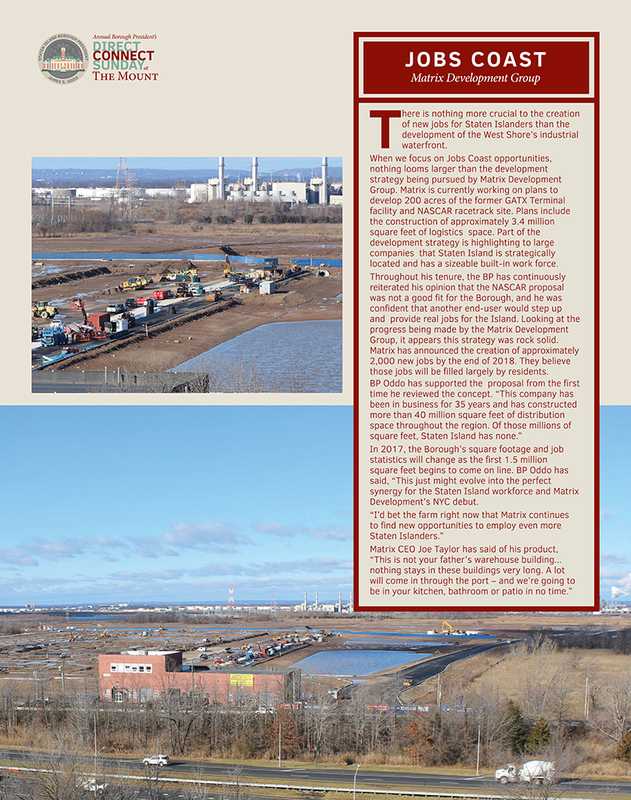 Future logistics center with potential for waterfront access. Owned and operated by Lois and Richard Nicotra, featuring commercial office space, a Hilton Garden Inn and Hampton Inn. A 100-acre business park with existing office buildings and developable sites. of Staten Island’s recyclable paper to cardboard. LNG tanks will be demolished for mixed use shopping destination with a waterfront public park. Film & TV studio at the former prison site. Designs include five large Sound Stages and reuse of existing structures. New Jobs: 367 construction, 1,311 permanent by 2020.
a multiplex dine-in movie theatre.